The popular Alnwick Junior Triathlon will return this weekend with Miller Homes as its new main sponsor. Alnwick District Triathlon Club is excited to be hosting the event, which will take place on Sunday at Druridge Bay, which is located just a short walk from the leading housebuilder’s Shoreland Park development in Hadston. Part of the Triathlon England Junior Grand Prix series, the triathlon will see 100 boys and girls aged between nine and 16 compete. The competitors will start with an open water swim, followed by a bike ride and then run, with distances varying depending on age category. 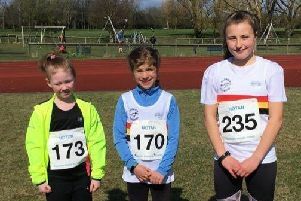 Every child will also receive a race T-shirt sponsored by Miller Homes, as well as a well-deserved goody bag and medal for completing the race. Andrew Somerville, associate sales director at Miller Homes North East, said: “The Alnwick Junior Triathlon is a fantastic annual event which encourages youngsters to get active whilst enjoying the outdoors.